Since 1840, St. Paul has taken on different identities: frontier hamlet, steamboat burg, provincial capital, and railroad boomtown. These transformations have left their marks all over town. 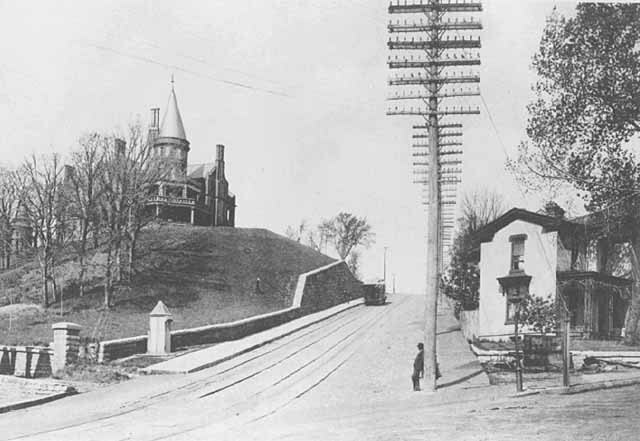 Nowhere can one see them better than on Cathedral Hill, which was known in day’s past as St. Anthony Hill. At the Hill District’s beginning, you will find remnants of the empire-building years of the late 19th-century. Here lived people of wealth, ambition, and ostentation. The site offers one of the city’s best views: to the north, the Capitol; to the east, downtown below and Dayton’s Bluff in the distance; and to the southeast, Cherokee Heights. The observer blessed with imagination may see it as it was before transformed by the human hand: the tree-lined river gorge, the great turn of the river to the south, low hills rising on the left, white cliffs, sandbars in the channel, and wetlands and woods where downtown now stands. As St. Paul expanded, the wealthy desired a location atop the bluffs, as a grand view of the river valley, a place above the industrial air and close proximity to their businesses below. Initially, only the wealthy had the means to transport themselves up the bluff. But later, stagecoach and streetcar routes afforded middle and working class citizens a means of traveling from work below to their homes up on the hill. Beginning in 1890, the three streetcar lines ranged west from St. Anthony Hill along the parallel Grand Avenue, Rondo Avenue, and Selby Avenue. 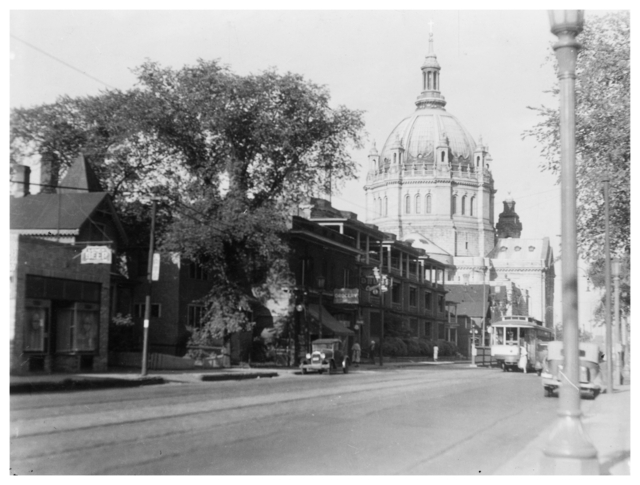 When the Selby streetcar route was developed, it ran every 3 minutes at peak times, along a newly established commercial route. This period marked the greatest boom in residential and commercial construction. However, 1922 ordinance prevented the building of multi-family dwellings thus preserving much of the original appearance to this day. 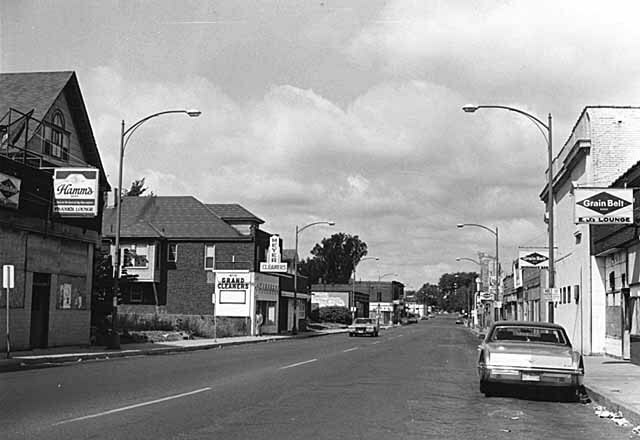 This area also included the Rondo neighborhood which sat north, where Highway 94 is today. The highways construction destroyed the vibrant African American community which had survived almost independently. Forced migrations scattered residents throughout the more depressed areas of Selby and University. Recovering from varying degrees of urban flight and red-lining, Selby is an area of resurgence, with an influx of new businesses and home ownership. As you tour the area, you’ll visit the grand Roman Catholic Cathedral, completed in 1915. A visit here is akin to traveling back to ancient Rome and truly one of the greatest architectural marvels in the United States. Although modest in comparison, a short trip down the hill from the Cathedral are some of Cass Gilbert's most exemplary works in religious architecture. Across from Boyd park on Selby is the Virginia Street Swedenborgian Church and four blocks northwest of there is Dayton Avenue Presbyterian Church - the first of which houses one of the longest-established congregations in the city. Other prominent buildings in the area in between the two churches on Selby and Western are the Dacotah Building, once the W.A. Frost Pharmacy, and the Blair Flats, which was once Hotel Albion, then the Angus Hotel. Around Summit, you’ll also see such structures as the Governor’s Mansion, F.Scott Fitzgerald’s birthplace home, Stuart Driscoll house, the oldest on Summit, and even the rare remnants of the streetcar rails. The new light rail harbors a return to the connectedness of this area to a larger community, and the great potential that it brings. Script by Paul Nelson, edited by Tony Andrea. 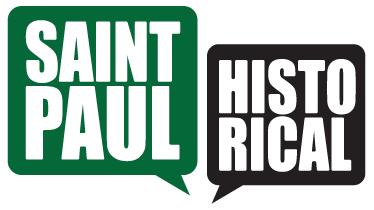 Video directed and produced by East End Productions., “Selby Avenue: An Introduction,” Saint Paul Historical, accessed April 21, 2019, https://saintpaulhistorical.com/items/show/152.